The APCD has several resources and tools to help local teachers, program coordinators and parents! 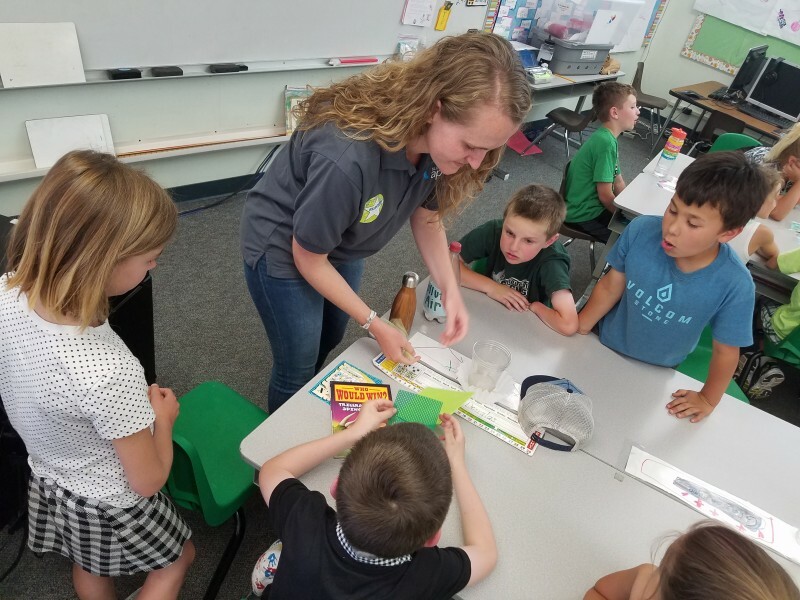 This page includes everything from our highly successful Clean Air Ambassadors Program to curriculum and lesson plans you can use in your classroom! 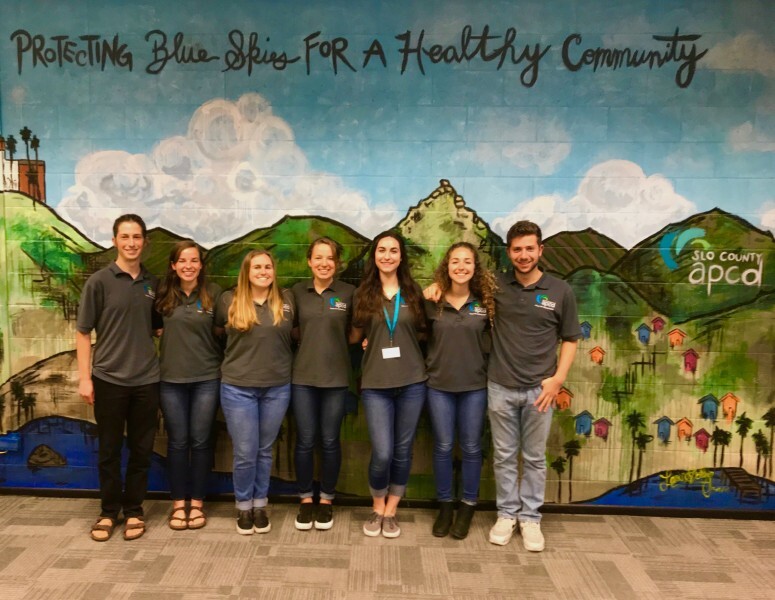 The Clean Air Ambassadors Program is a team of dedicated Cal Poly students that work for the APCD and are passionate about environmental education and inspiring future generations. The program is FREE to all educators and childcare programs. 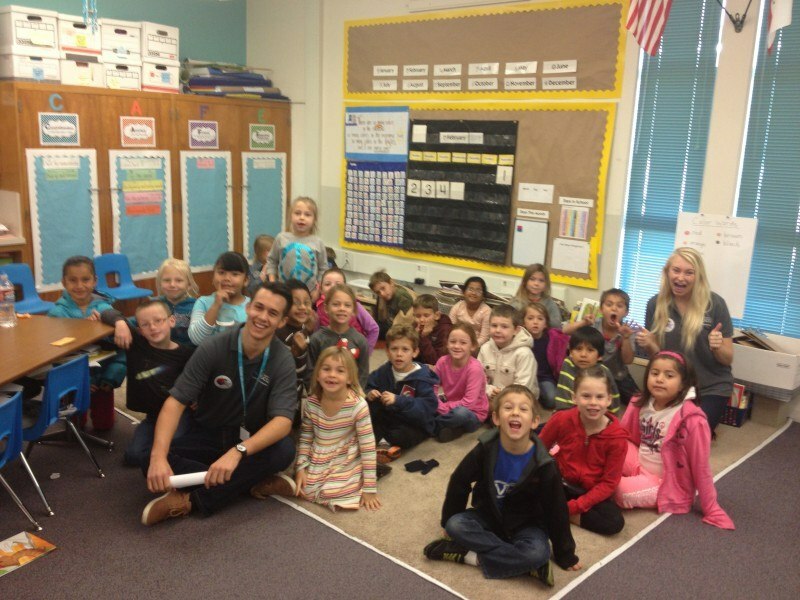 Their fun and interactive lessons are geared for grades K-3. Each lesson is part of a 3-lesson series that supplements numerous California Science Content Standards and EEI Standards. 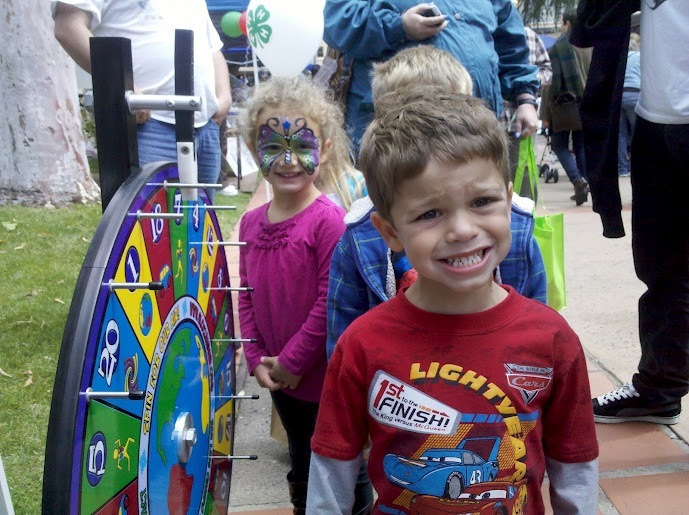 While they focus on air quality and pollution, they also promote environmental literacy and sustainable practices. 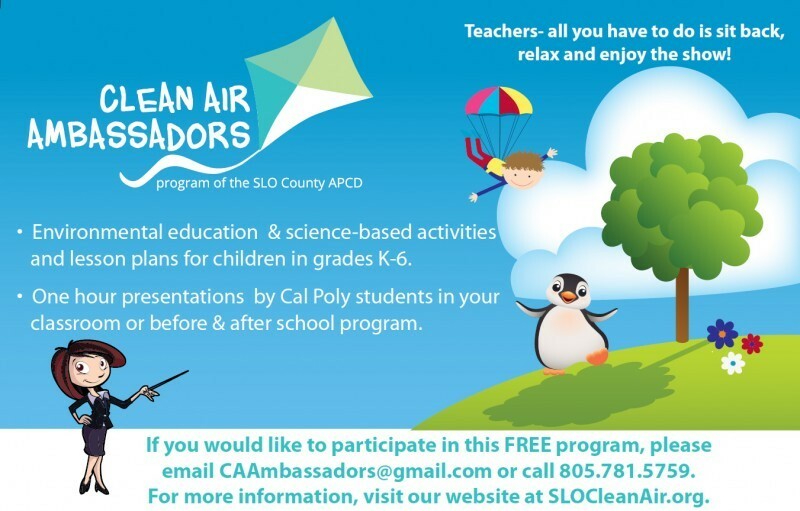 If you are interested in having our Clean Air Ambassadors teach in your classroom or have questions about the program, please fill out this quick Presentation Request Form. You will be contacted shortly by one of our Ambassadors! Using an interactive lesson plan involving the story of Dr. Seuss’ “The Lorax”, instructors demonstrate how air pollution affects plants, animals, and humans. Students learn the crucial role that trees play in the air cycle and discuss ways in which they can improve the air quality around them. Students review material presented in the previous lesson and go into a more in depth view of air on a molecular level. Through a fun activity, students learn that air has mass and is affected by temperature and wind patterns. Lastly, students break into groups and lead a concluding presentation reviewing all the material presented in the lesson series. Through demonstrations, students learn how air pollution can negatively affect their health and how kids are actually more at risk than adults. Students also learn how air filters work through experimentation with various water filters.